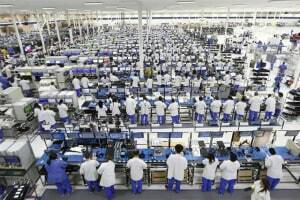 The mass metrology migration is upon us! 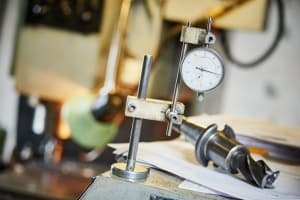 Whether you’re manufacturing your six-millionth crankshaft or a first next-generation fuel nozzle, your QA/QC system is only as good as its inspectors and analysts—and those professionals are only as good as their tools. Laser scanners have come a long way in the past 20 years. 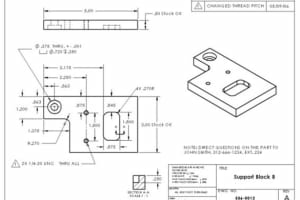 Now, they can form a vital part of the quality professional’s toolkit for first article inspection, part-to-CAD and particularly in the growing area of in-process measurement. 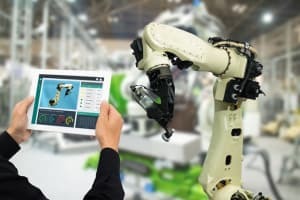 This is true for both high-accuracy applications like aerospace engineering and in the high-volume world of automotive manufacturing. Responses ranked as a percentage of total votes. 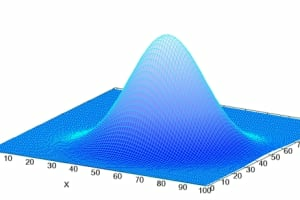 n = 220. Source: Laser Scanning Forum. Not surprisingly, accuracy, speed and portability/size ranked highest. 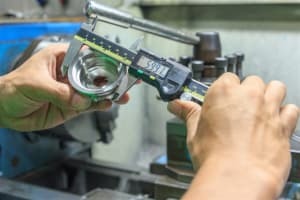 Although the forum’s members are made up of more than just manufacturing professionals—including surveyors, archaeologists and general metrology enthusiasts—these three features are worthy of consideration by any metrology professional. 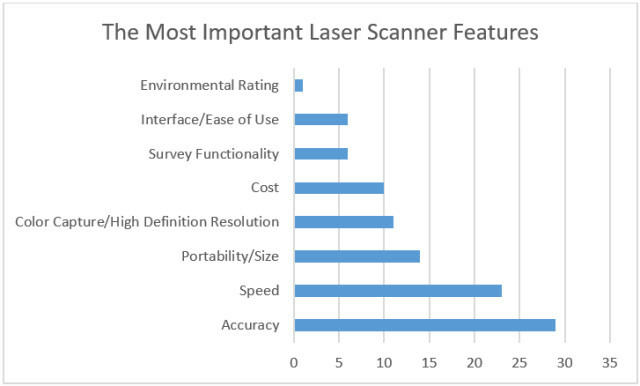 It’s also worth noting that cost ranks lower than color capture/high-definition resolution as well as the top three features, suggesting that a laser scanner should not be purchased on price alone. 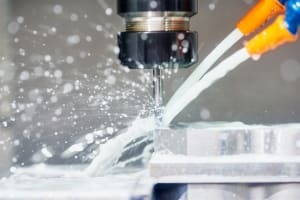 That might seem like an obvious piece of advice, but when it comes to selecting a tool that can make the difference between shipping out-of-spec parts and not, the extra up-front cost could be well worth it. These two categories can be broken down further based on their method of positioning. Within white-light and structured light scanners, tracked 3D scanners such as Creaform’s Metrascan 3D and Hexagon’s Leica Absolute Scanner are positioned via an external optical tracking device using markers such as passive or active targets. These targets bind to the scanner, enabling it to position itself within a coordinate system. 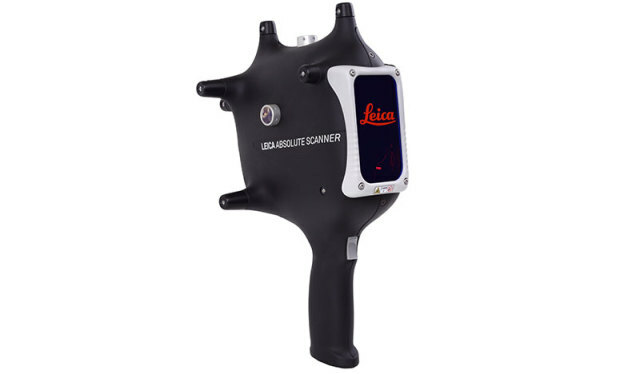 These scanners offer good accuracy and excellent precision as well as freedom of movement, but they also require the tracker to have a clear and direct line of sight to the scanner. They are also generally more expensive than portable 3D scanners. 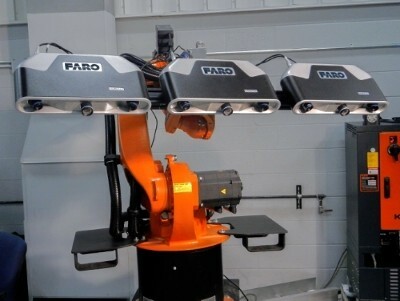 In contrast, structured-light 3D scanners, such as FARO’s Cobalt 3D, use one or more cameras to position themselves via offline targeting or part geometry. In this case, a single camera requires the position of the projector relative to the camera to be determined in advance, while in a dual-camera setup the stereoscopic pair must be calibrated together. 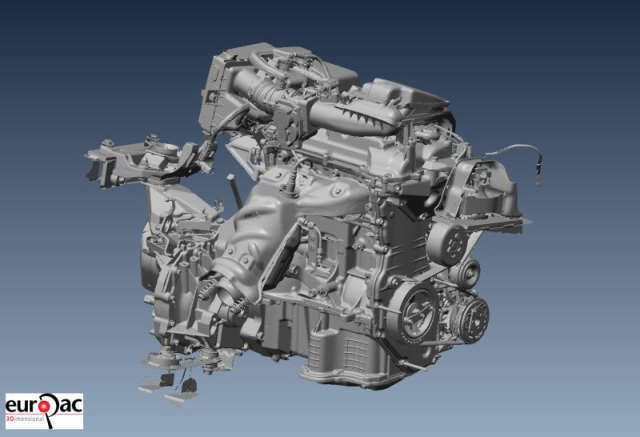 Structured-light 3D scanners have the advantage of offering excellent resolution, but they also typically need to perform multiple scans to cover all the angles on complex parts. This can be time-consuming. 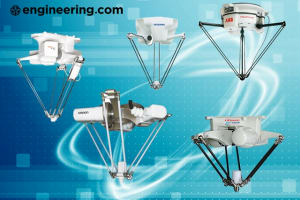 Falling into the second broad category, scan arms, such as Hexagon’s ROMER Absolute Arm, are positioned via mechanical encoders within the arm. 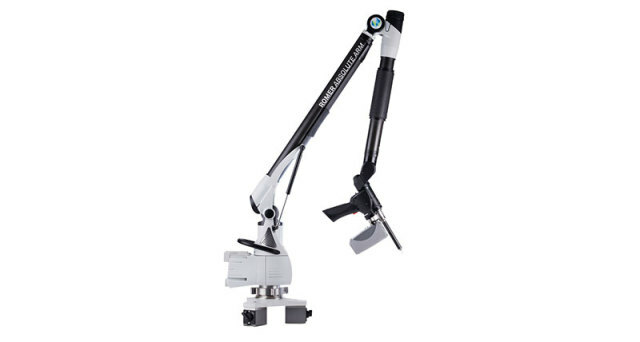 The primary advantage of using a scan arm is that it can accommodate both scanners and touch probes, enabling a variety of measurements to be performed with a single instrument. 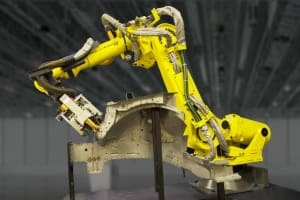 On the other hand, because the arm needs to be bolted to a stable surface, scan arms tend to be susceptible to vibrations and other environmental factors. 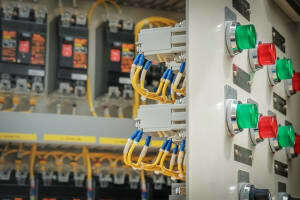 The mechanical connection between the positioning system and the scanner also makes them impractical for scanning hard-to-reach areas. 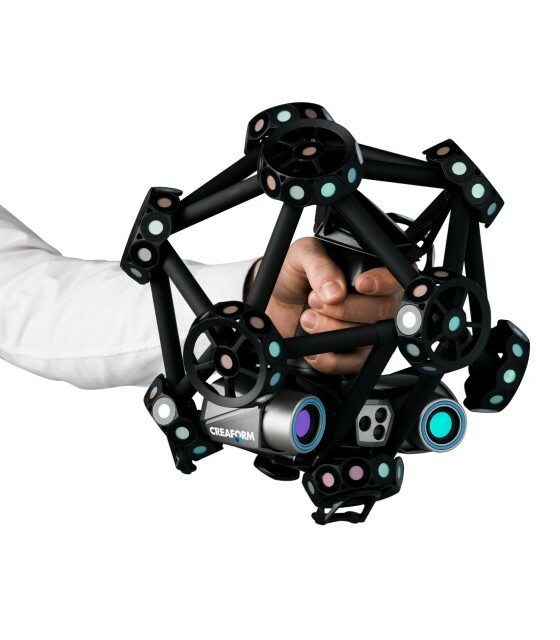 Finally, portable 3D scanners, such as Creaform’s HandySCAN 3D, are positioned using real-time self-positioning via targets, object geometry or both. This combination is known as hybrid positioning. Two cameras in the scanner create stereoscopic vision and enable the device to determine the scanner position in relation to specific points on the object. The main advantage of portable scanners is their ease of transport and use, with some high-end models acquiring more than 500,000 points per second. Some can even rebuild the triangle mesh during the scanning process. Unfortunately, portable 3D scanners are limited in scanning volume, with errors increasing as the volume grows. Users can compensate for this issue using photogrammetry and positioning targets, but these increase setup time and limit scanning volume. 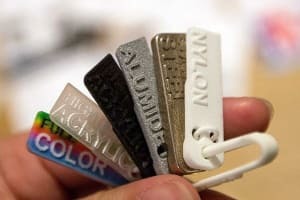 Laser Scanners: Does Color Matter? A moment’s reflection explains why this is true. 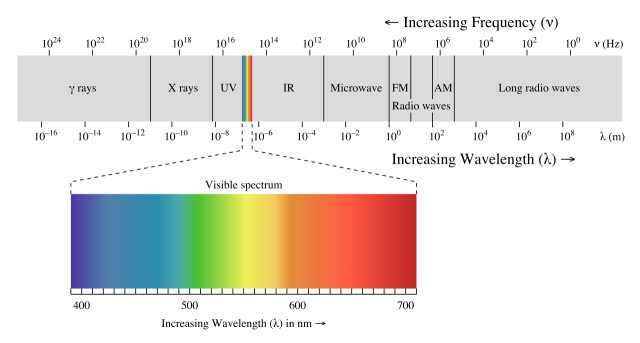 On the electromagnetic spectrum, visible light occupies the 400- to 700-nm range. 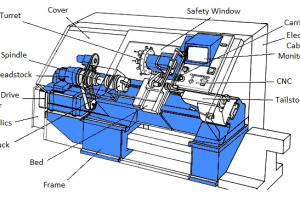 Hence, the maximum difference between two different laser colors (blue and red) is approximately 300 nm. 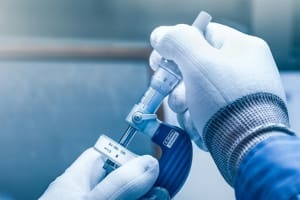 That’s two orders of magnitude smaller than the tightest conceivable tolerance in the manufacturing world today, outside of nanotech applications. The upshot is that when it comes to color, you can treat laser scanners like lightsabers: just choose your favorite color. 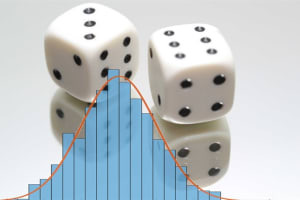 Although touch probes are highly accurate, they are limited in the number of points they can generate from a given object. Each data point generated by a touch probe requires a corresponding touch. 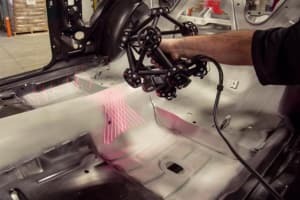 In contrast, the width of a laser scanning stripe can range from 50 mm to 200 mm (1.97” to 7.87”), enabling the scanner to capture thousands of data points in a single pass. 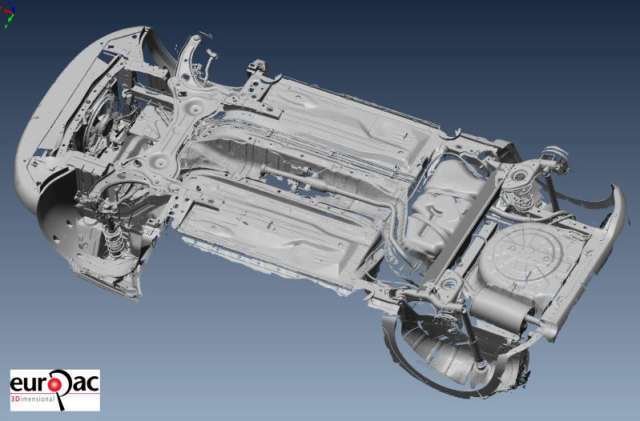 One of the main advantages of laser scanning over touch probing is its ability to capture the entire surface of the part. Touch probe measurements of highly curved or free-flowing areas yield relatively few useful data points. 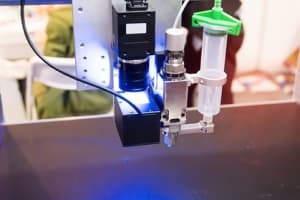 What’s more, laser scanners can pass over homogenous surfaces where tolerances are higher much more quickly than touch probes. 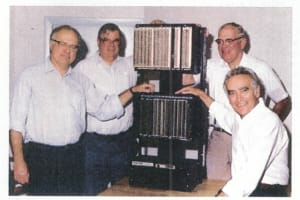 “In the last ten years, because of faster computing processes, we can scan something and reverse-engineer it and then adjust the computer program in a matter of minutes, whereas in the past it would take weeks to do something like that,” said Rina Molari-Korgel, chairman of the executive committee of the Coordinate Metrology Society. 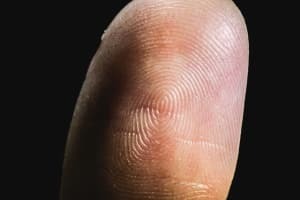 Even the fastest touch probes are unlikely to exceed a few thousand points per second. 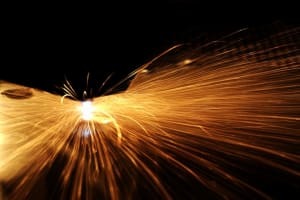 Although that’s still a significant gain in speed compared to even a decade ago, it doesn’t come close to the hundreds of thousands if not millions of points per second that can be captured by a laser scanner. In terms of the sheer number of data points collected, nothing beats a laser scanner. 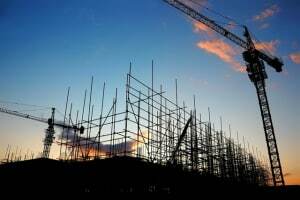 However, from an inspection standpoint, speed isn’t measured simply in terms of the number of data points collected. 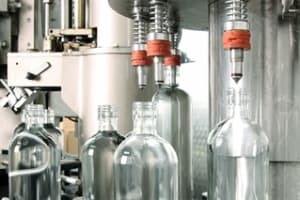 Ultimately, it’s a question of the total time needed to assess the quality of the part—and that depends on your particular inspection application. In addition to the number of features, surface reflectance is also a significant factor. 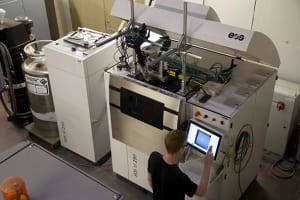 “Typically, if you have prismatic features then probing is faster and easier and if you have organic shapes then scanning is faster,” said Steve Young, owner of Exact Metrology, Inc. 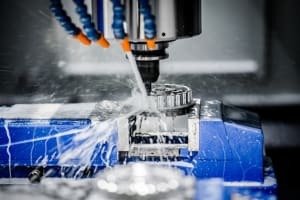 While it’s certainly possible to integrate an automated coordinate measuring machine into an assembly line, such setups typically require large bridge- or gantry-style CMMs that have been specifically designed to withstand the shop floor environment. 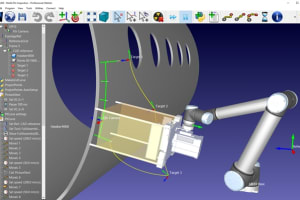 Even horizontal arm CMMs are sensitive and cumbersome compared to industrial robots. 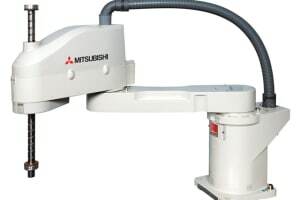 Mounting a laser scanner onto such a robot is often the more efficient option, especially given the robot’s ability to reach features and surfaces that would be inaccessible to a CMM. 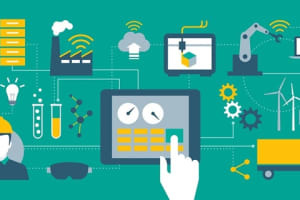 In addition, integrated software packages can be used to handle measurements, data gathering, comparing point clouds to CAD models and generating visual representations and tabular data in an automated process. 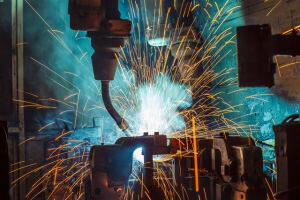 For this reason, larger companies often divide the laser scanning work between technicians, who perform the actual scanning, and metrologists, who have experience with inspection software. In smaller companies, these two jobs tend to be done by the same person. 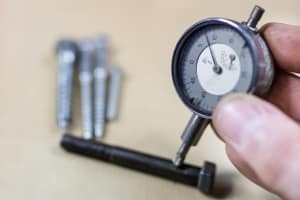 However, if you’re looking to free up your metrologist’s valuable time, passing their scanning duties onto properly trained technicians may be a good option. 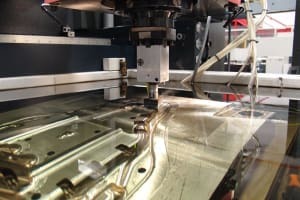 In terms of cost, laser scanners occupy a sort of middle-ground between CMMs and hand measuring tools. Of course, that only narrows the price of laser scanners down to somewhere between a few hundred dollars and upwards of seventy thousand. 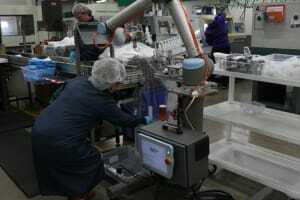 One of the primary factors in the cost of laser scanners is the novelty of their technology. 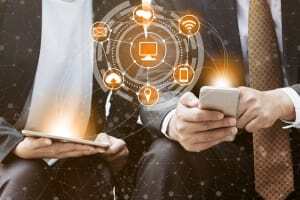 “Usually the cost is higher because it is relatively new technology and there is a lot of R&D going into hardware and software,” said Young. 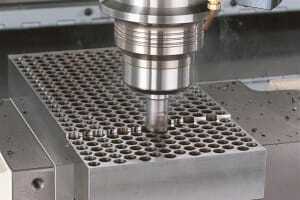 Even so, compared to a CMM, 3D scanners are practically a bargain. 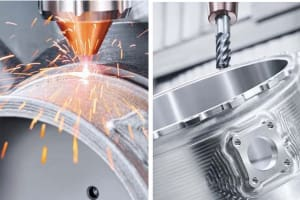 Despite being less accurate than CMMs, for manufacturers who don’t need CMM-levels of accuracy, 3D scanners are an attractive proposition. “That’s why 3D scanners have been getting more popular in the past five or ten years,” Côté observed. 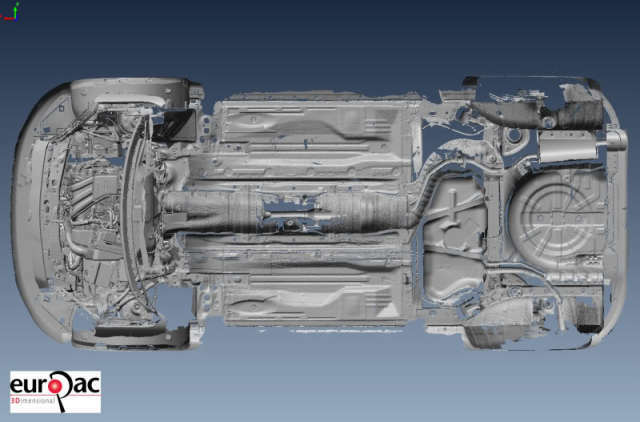 One particularly impressive example of 3D laser scanning in the automotive industry comes from the Laser Scanning Forum, where user Andy Goldstraw showed off some pictures from a project he carried out a few years ago. 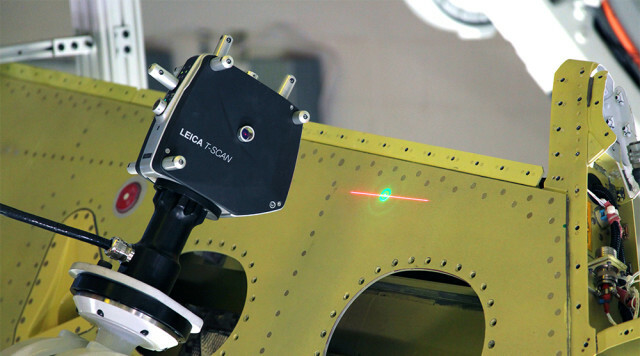 The aerospace sector has some of the tightest tolerances in manufacturing, so you might wonder whether laser scanners can offer the necessary accuracy for quality assurance. 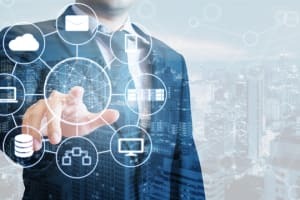 Are CMMs always the better solution? 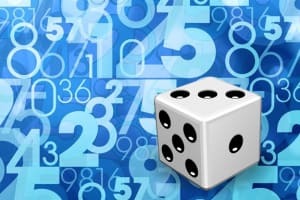 If you’re after high accuracy for a single point, then CMMs are obviously the way to go. That being said, laser scanners can work well for aircraft interiors, where tolerances are not so tight. 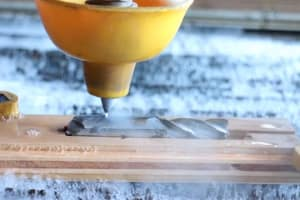 However, when it comes to the external envelope and anything relating to the aircraft’s engine (turbine blades, fuel injectors, etc. 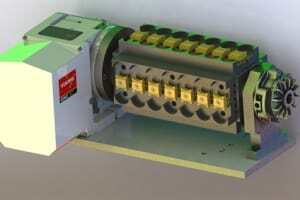 ), tolerances are typically too tight for laser scanners to be practical. 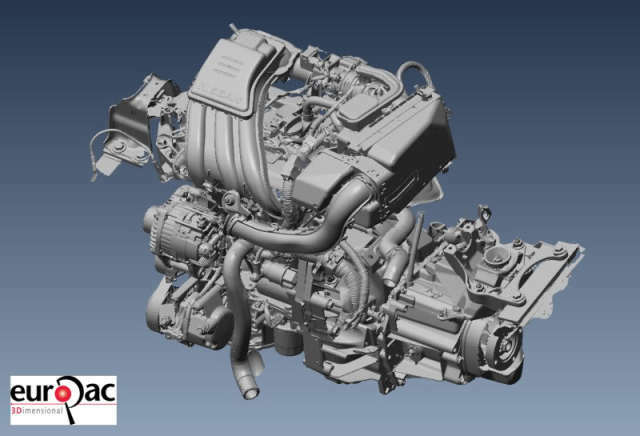 Accuracy, portability and speed are the defining attributes and the primary advantages of 3D scanners. 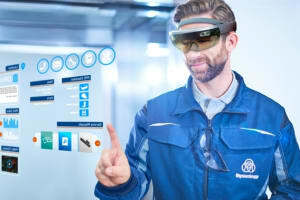 These key tools in the quality professional’s toolkit can find a role in both high-accuracy applications like aerospace engineering and in the high-volume world of automotive manufacturing. 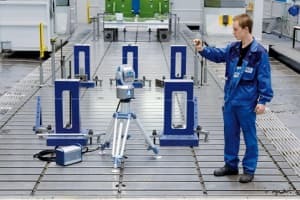 If you need more accuracy than 3D scanners can offer, check out our 3 Tips for Choosing the Best Coordinate Measuring Machine for Your Quality Process. 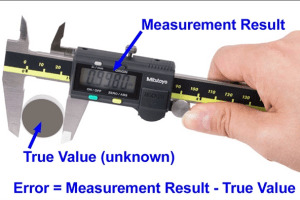 If you’re looking for a less expensive metrology tool, keep an eye out for our next quality feature on hand tools. 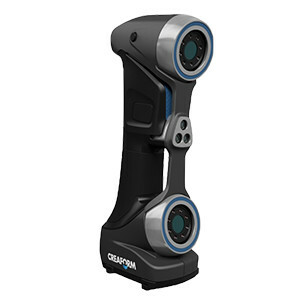 For more information on 3D scanners, visit the websites for Creaform, Exact Metrology, FARO and Hexagon.